I see dear old John Watson has had his say on the Ferrari documents scandal. And, just as in his driving days, he gets some of it right and other bits wrong. Who would argue with the fact that the whole business is a lose-lose situation for McLaren? Whatever any court decides, there will always be doubts in some minds as we can never know the whole truth. So a component on the McLaren looks very similar to the equivalent on the Ferrari, for instance? That could be copying or it could be designers coming to the same conclusions independently. 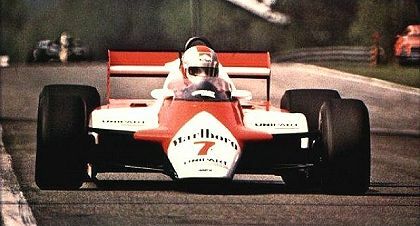 But Wattie goes a bit too far when he maintains that McLaren had details about the car and the way the Ferrari team operates. Not proven yet, John. In fact, that was the whole thrust of the WMSC's verdict - that there was no proof that employees of McLaren other than Coughlan had seen or used the documents. The outcome was the only one possible in the circumstances, given that McLaren must be presumed innocent until proved guilty. Where the FIA went wrong was in having the hearing at this time, when very little is known for sure and two court cases are pending on the matter. Presumably, it was felt that the FIA should be seen to be doing something but, with so few proven facts to hand, the court was bound to shy away from any decisive imposition of sanctions. Essentially, the outcome has been the result of a lack of proof, a matter of the court refusing to judge until the legal processes in Italy and Britain have established a few more facts. And that is what everyone seems to be forgetting - that the WMSC has reserved the right to re-open the case if further details come to light. That amounts to a statement of intent to punish any contraventions of the sporting code if and when it becomes clear that they have taken place. It is, in fact, a reprieve for McLaren, not an escape. So those who want to see McLaren pay for any wrongdoing may yet have their way. But to say that the WMSC should have imposed sanctions at this stage is to suggest that they violate the basic legal principle of innocence until guilt is proved. I, for one, am relieved that the court did not do that. Totally off topic but thought you may enjoy this. You said it there, Alianora - I can see a whole bunch of trouble coming out of this one and I don't think we've seen anything yet. Perhaps one day we might be able to get back to racing. Oh wait, it's the Hungarian GP this weekend, isn't it...? I can just imagine the speed cop strolling up to the car's window. ticket book and pen in hand - "Who do you think you are sir? Nelson Piquet? ... Oh"
"Who d'you think you are, Nelson Piquet?" "Well, yes, actually I am..."
"Oh, a funny guy, hey? Right then, out of the car sir."